The Ink Plus is a business card that is temporarily offering 70,000 Ultimate Rewards after spending $5,000 in the first three months. The normal sign up bonus is 50,000 points. Ultimate Rewards transfer 1:1 to United, British Airways, Singapore, Korean, Southwest, Virgin Atlantic, Hyatt, Amtrak, and more. The Ink Plus earns 5x points on internet, phone, and cell phone bills; 5x points on purchases at office supply stores; 2x points on hotels and gas; and 1x points on everything else. This offer on the Ink Plus does NOT waive the $95 annual fee for the first year. 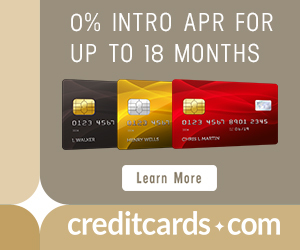 Citi offers the Citi® / AAdvantage® Platinum Select® MasterCard® with 50,000 bonus miles after spending $3k in three months. This card will disappear in early 2015 when US Airways’ and American Airlines’ loyalty programs combine. Any miles you have will be safe and converted to American Airlines miles. Don’t miss out on getting this card and its bonus before the merger is complete. I have used my Arrival miles on a recent trip to book a motel and domestic flights like a $150 trip from Raleigh to Tampa that would have been a poor value with traditional miles. I also used my Arrival Plus recently to book myself a free Airbnb stay and to pay the taxes on an award booked with traditional miles. Do airlines ever offer cards that include status? Excellent post. I will be using all of your referral links. Can you make a post on best churnable cards? 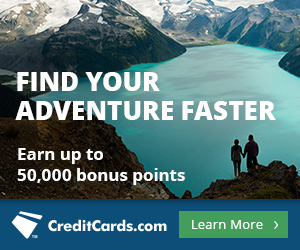 After canceling Chase United card how long before you can reapply and get bonus? When you cancel is irrelevant. You need to wait 24 months between bonuses on Chase cards. re: 24 months. i never know if that means 24 months since the previous card was cancelled or 24 months from the 1st day you got a card.